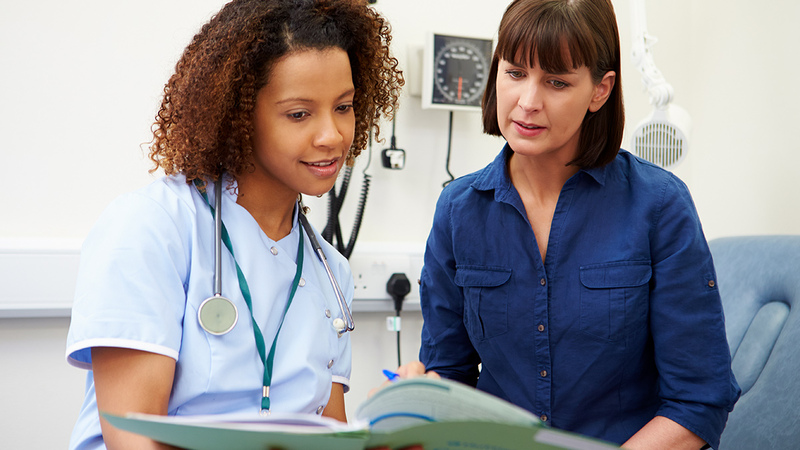 One of the most powerful keystones of safe medical practice, high-quality nursing care, positive outcomes, and overall patient and provider safety is simple human communication. However, the literature demonstrates that communication failures can lead to egregious outcomes and a large number of otherwise avoidable deaths or injuries. In the 21st century, it’s time to embrace these verbal exchanges as a bulwark against unnecessary harm and death -- after all, “do no harm” is at the center of the Hippocratic Oath. Communication occurs between healthcare providers, staff and patients, administration and employees, and every other possible combination of entities, groups, and individuals. These lines of connection extend to insurance companies, DME suppliers, informatics specialists, housekeeping, food service, and all manner of human beings or institutions that populate the worlds of healthcare, medicine, nursing, and ancillary medical and non-medical services. There is no sufficient argument against the value of communication in the context of healthcare delivery; if that it so, then why is it such a troublingly common issue? According to a study by the Controlled Risk Insurance Company (CRICO) that underwrites all medical institutions and providers within the Harvard system, 30% of all malpractice cases between 2009 and 2013 were the direct result of failures of communication. CRICO’s national Comparative Benchmarking System (CBS) is the largest medical malpractice database in the U.S. With more than 23,000 cases scrutinized for the above-mentioned time period, 7,149 resulted in patient harm related to poor communication. The financial result? $1.7 billion in estimated losses. These incidents did not just occur within the inpatient milieu – ambulatory care and other settings also contributed to these disturbing statistics. Where can communication break down in the course of healthcare delivery? Anywhere and everywhere. information could not be more crucial. If bullying, intimidation, a lack of respect, or simply poor listening strategies are on board, things can go decidedly awry. If an anesthesiologist recognizes cues that a patient’s current condition makes a scheduled surgery significantly riskier, a timely conversation with the surgical team is incredibly important, as long as everyone is willing to listen. We’ve all heard frightening tales of the wrong leg being amputated or a healthy kidney removed instead of the diseased one. Again, communication is key, and we should not rely on patients marking their body parts with magic markers in order to guide their surgeons. Organizational communication is also an issue to address. Changes in protocols, procedures, documentation, or other aspects of operations and care delivery must be clear and concise. The written word figures largely here. Documentation is essential to the practice of healthcare, and we all know that errors and omissions are the bane of providers who need accurate data for prudent decision-making, and such errors can lead to horrific consequences. A culture of safety in healthcare depends on the strength of dialogue between all parties. Collaboration is central to patient care, and behaviors, habits, and attitudes that weaken the exchange of information can be ingrained and difficult to break. When an organization walks its talk in relation to prioritizing communication, everyone wins. In such cases, manager and executives can choose to lead by example. Some forward-thinking institutions are hiring specialists and cutting-edge consultants who assist healthcare facilities in such efforts. Dr. Renee Thompson’s Healthy Workforce Institute is one such innovative consulting group, and the work of nurse leaders Beth Boynton and Dr. Candace Campbell both focus on medical improv workshops that focus on improving relations and conversations between providers. Skills related to listening, body language, emotional intelligence, and relational intelligence all play a part, as does a culture of professionalism, respect, cooperation, and kindness. Meanwhile, with the advent of artificial intelligence (AI) and robotics, we must still be vigilant in our communication and the use of data. Machine learning and AI may strengthen many aspects of our healthcare delivery system, yet human and machine error cannot be ruled out. We can increasingly rely on robots and digitized systems to support our work as healthcare providers, but sitting on the edge of a bed, holding a patient’s hand, making eye contact, and deeply listening all create meaningful connections that a machine cannot (yet) achieve. In the end, a culture of safety and superlative patient outcomes relies on us humans to power that dynamic engine. We can lead by example, learn and practice optimal communication skills, listen closely, speak clearly and kindly, and infuse our work with the skills, beliefs, and attitudes that make human connection and people-powered labor optimally effective. This engine of communication has many moving parts, and each of us can play our singularly important role in the grand theater of healthcare.